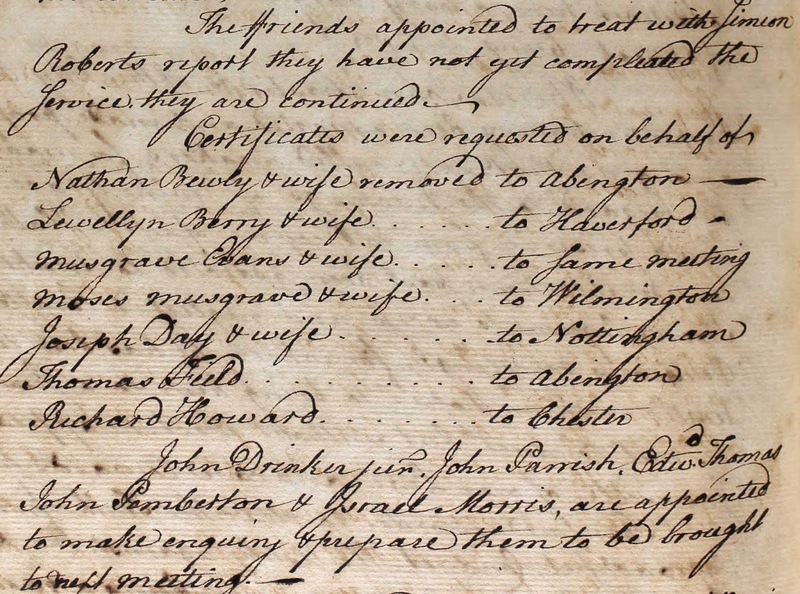 If you’ve already uncovered your Quaker connection, you have probably come to the realization that Religious Society of Friends Church Minutes and records (what great records they have) is the best source for beginning Quaker genealogical research. And, like Valerie Bertinelli, (who had Quaker ancestors - see episode 5 of Season 5, Who Do You Think You Are? TLC) - you are probably on your way to uncovering fascinating histories of your ancestors. But for the beginner Quaker researcher, you may easily become overwhelmed with the plethora of sites dedicated to Quaker research. So the a3Genealogy researchers have chosen to share their favorite Quaker research websites and links. If you are beginning your Quaker research, be sure to start with the Frequently Asked Questions (FAQ). This may also help discern myths from facts. Our favorite client story was explaining that even Missouri (yes, Missouri to my client’s disbelief) had Quakers! He was convinced they only resided in Pennsylvania. 1. FAQs About Quakers. Our goal is not for you to convert, but to have some understanding of your ancestor’s practices. Be sure to read the Quaker History on the Friends General Conference website. 2. 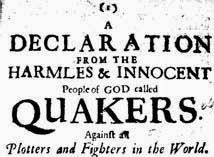 History of Quakers. This Wikipedia site is cited with References, Readings and Primary Sources, as well as External Links. 3. List of Quakers. This Wikipedia site that“list[s] notable people associated with the Religious Society of Friends” may assist the researcher in making a family connection. With the help of this list, we have connected clients to colonial ancestors, politicians, and contrary to traditional practices, soldiers. 4. Quaker Information Center. Although not comprehensive, this site provides a “short list of historical sites in the U. S.
5. Religious Society of Friends (Quakers) Genealogical Historical Records. This online Research Guide holds the location of Quaker records at the Family History Library, and other Historical Societies and Libraries. But, be sure to visit the Family History Library (FHL) 2600+ sources of monthly meetings, wills (and abstracts of wills), books, and microfilmed family histories. 6. Historical Societies. Be sure to visit the local historical society. Valerie Bertinelli’s Quaker ancestors lived near Scranton, PA. With help from the Lackawanna Historical Society researchers she was able to find information at the Catlin House headquarters. 8. 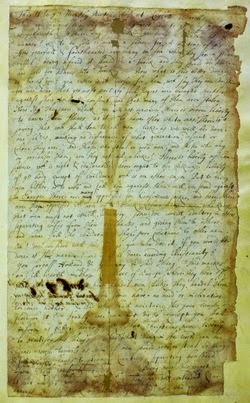 Haverford College Quaker & Special Collections. We particularly appreciate the Digital Archives of the Haverford College collection (5128 digitized images). But, be sure to also review the Swarthmore College Digital Archives of 2894 digitized images. .
9. Cyndi’s Lists. This compilation of Quaker dedicated repositories and libraries guides the researcher to special collections and manuscripts as well as books. 10. The Earlham College Library provides the American Friend Index of Obituaries online. 14. The Quaker Corner. This Rootsweb repository of resources boasts over 1200 subscribers to their Quaker Roots discussion group and mailing list. 15. Research Guide to Finding Your Quaker Ancestors. This ancestry.com Research Guide is chocked full of examples. We particularly like the clarification on “Quaker Dates” and “Abbreviations” used in Quaker meeting minutes. African American Quaker Profiles posted on the Friends General Conference (FGC) website. The African American Experience has shared a timeline of Quaker education for black students in Philadelphia and the abolitionists. Fit for Freedom, Not for Friendship: Quakers, African Americans, and the Myth of Racial Justice published by Quaker Press Publication may shatter your racial beliefs of the Friends and may have direct impact on your ancestral research. Did Americans Volunteer with the Royal Air Force? 7 Research Tips - Are You Royalty?